Once again I seem to be neglecting my blogging duties. It is certainly not that true that I have lost the desire to blog it is simply a lack of time. As the new beauty salon, Chica Bella, opens on Tuesday 31st August I have less than 4 hours to finish the painting and cleaning. It will be a race against time but will be well worth it, I will post some pictures of the finished rooms when I have them. A big thank you to my Mum for all her help at the studio yesterday. 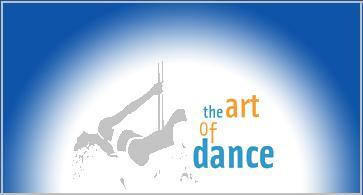 One thing that is now finished is the brand new art of dance website. Click here to view it. Thank you to my lovely husband for building the site for me and helping me learn how to maintain and edit it. I will write another blog in the next few days to tell you all about my wonderful meal at the Who'd Have Thought it Inn and my visit with Rosanna to the Moscow State Circus.